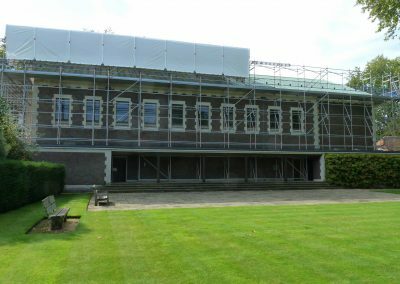 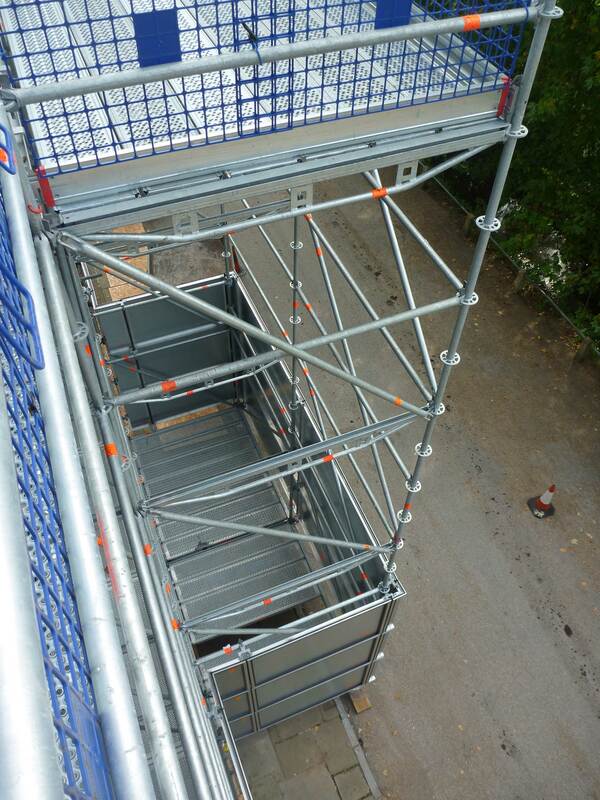 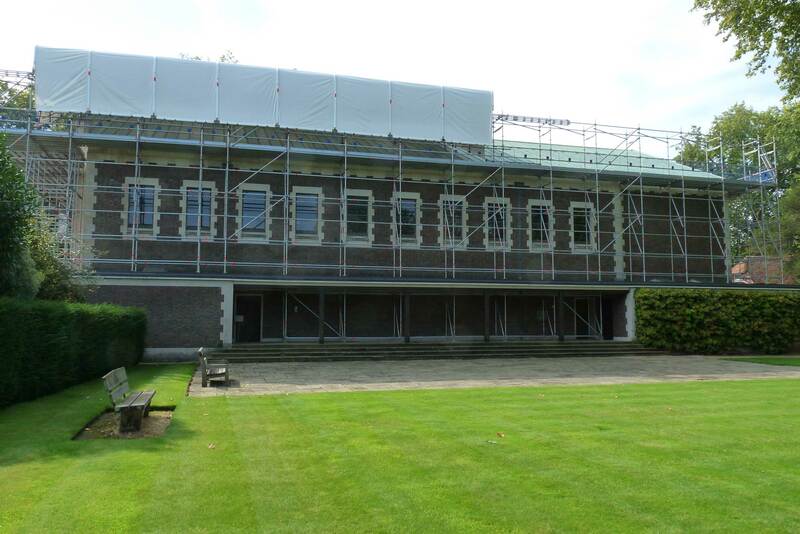 Roof refurbishment at Winchester College’s New Hall has been completed by Modus Access UK Ltd. using Layher equipment to provide vital weather protection that avoids potential drawbacks associated with a traditional scaffolding and mono pitch, tin-sheeted alternative. 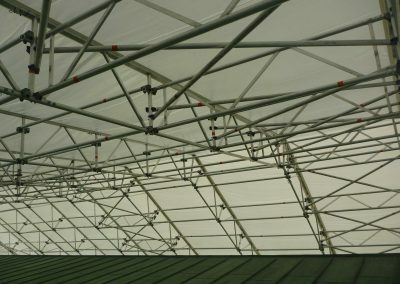 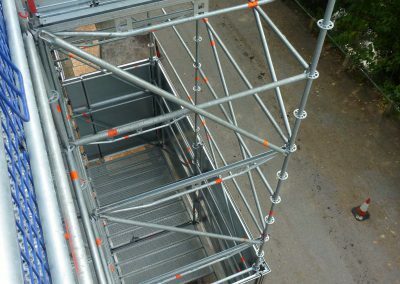 Appointed by Strongboard Construction Ltd. to provide a protection system against rainwater and wind loading risks, the Modus solution utilised the lightweight design of the Layher Allround® scaffolding system to create support around the building for a Keder temporary roofing system installed in a rolling, apex configuration. 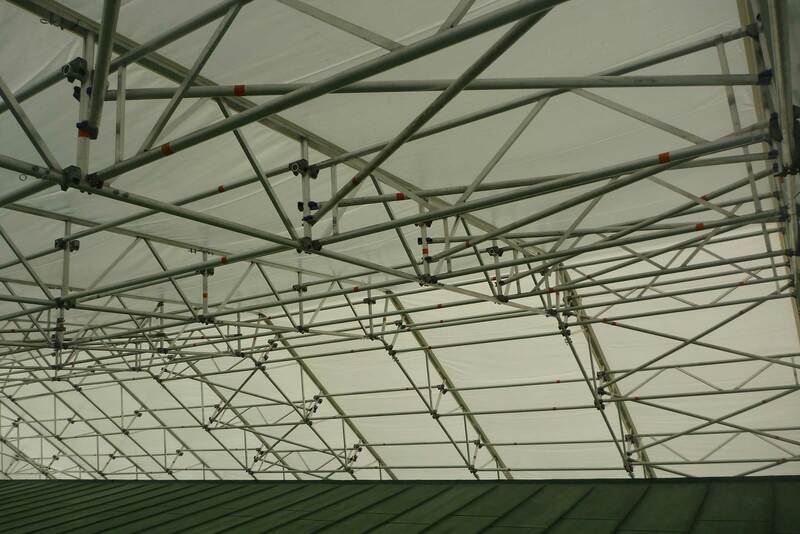 The design initially covered some 60% of the roof refurbishment work and was simply rolled along when required during the three-month project – significantly less time than would have been the case with tube and fitting methods.